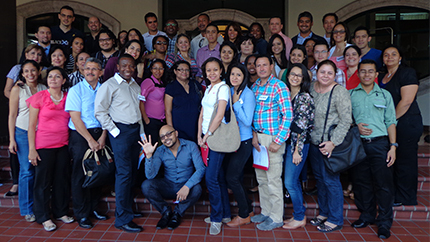 Over a two-day period, more than 65 exchange alumni from different exchange programs and diverse backgrounds met in Tegucigalpa, Honduras to launch a new alumni association, Association de Exbecarios Lideres Innovad-H, or more simply, Innovad H. During the launch, exchange alumni elected a board of directors, adopted by-laws, and discussed methods to maintain sustainability. With expertise in civil society issues such as security, economics, healthcare, and education, exchange alumni determined that Innovad-H should focus on development projects and volunteer programs. The association is open to Honduran alumni from all U.S. government-sponsored exchange programs, including Youth Ambassadors, Global UGrad, International Visitor Leadership Program (IVLP), and English Access Microscholarship Program.